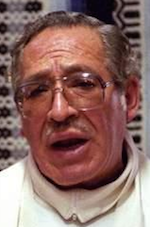 Summary of Case: A native of Guadalajara, Ochoa was ordained for the Jesuits in Mexico in 1969. 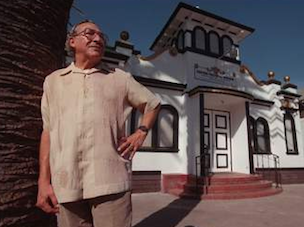 In 1988 he began working in the Diocese of Santa Rosa CA. Ochoa was placed on leave in April 2006 after acknowledging a recent incident of sexual misconduct involving a 12-year-old boy. He admitted to Bishop Daniel Walsh a past history of "a problem with a boy" when working in Mexico. (Investigators later learned that, beginning when he was age 14, the the boy had been violently raped by Ochoa in Carichi, Chihuahua Mexico; when the boy was age 15, his parents allowed Ochoa to live with him in the U.S.) Bishop Walsh didn't report Ochoa's admission of abuse to law enforcement for three days; by then Ochoa had fled to Mexico. Two civil suits were filed in October 2006 by seven accusers. Ten plaintiffs settled with the diocese and bishop in September 2007 for a little over $5 million. Ochoa's victims include former altar boys and girls. A federal arrest warrant was issued July 27, 2008. Ochoa died a fugitive November 30, 2009 in Zapopan, Jalisco, Mexico. His name does not appear in the Directories until 1988. Santa Rosa bishop was John Thomas Steinbock (1987-1991). Parish had a school with 302-293 students. 1989 1991 St. Luke Chapel, State Hospital Imola CA This was a station of St. John the Baptist in Napa. George Patrick Ziemann succeeded Steinbock (1992-1999). 1993 St. Rose of Lima Santa Rosa CA 3/5, 3/4 Parish had a school with 355-413 students. June 22, 2006) Ochoa is not indexed in the 1994 Directory. 1994 1997 Our Lady of Guadalupe Windsor CA 2/2 Parish had a religious education program with 250-150 students. Daniel Francis Walsh replaced Zeimann as Santa Rosa bishop (2000-). Parish had a school with 360-310 students, and a religious education program with 317-199 students. Sources: Official Catholic Directory (New York: Kenedy & Sons, 1988-2006). This assignment record collates Ochoa's career history as it is represented in the Official Catholic Directory with allegations as reported in the media. We make no representation regarding the truth of the allegation we report, and we remind our readers that the U.S. legal system presumes that a person accused of or charged with a crime is innocent until proven guilty. Similarly, individuals who may be defendants in civil actions are presumed not to be liable for such claims unless a plaintiff proves otherwise. Admissions of guilt or liability are not typically a part of civil or private settlements. For more information, see our posting policy. This assignment record was last updated on March 24, 2015.